New VDC admin view that matches the Cloud View. New virtual network model that make its configuration and management more flexible with address ranges. Quotas can now specify a value of 0 to disable certain objects for users or groups. Logs now have the zone ID so its easier to parse in a centralized syslog configuration. New datastore to use local block devices. IO throttling for disk devices. New hybrid drivers for Microsoft Azure and IBM Softlayer services. 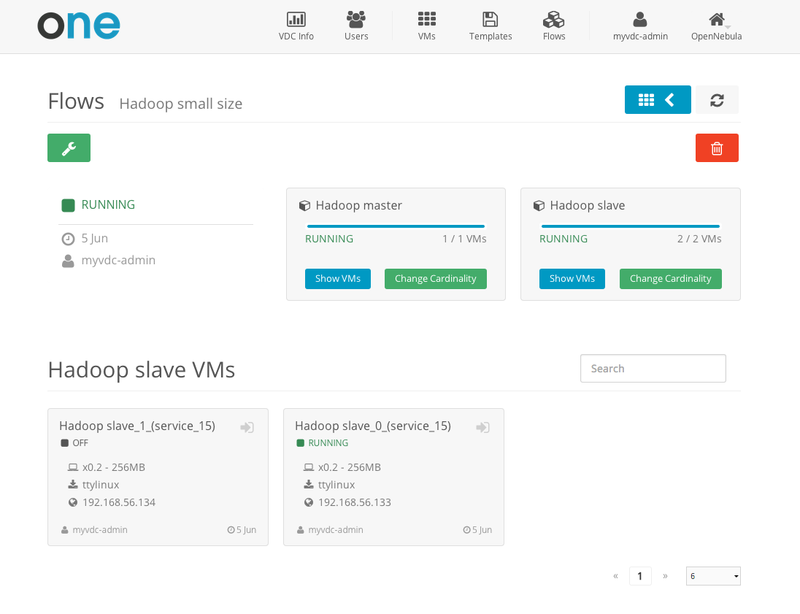 OneGate can now be used to get information about all the VMs in a service. OneFlow can wait until a VM phones home before starting the rest of VMs. Network configuration in a flow can be specified per role. User input on template instantiation for certain VM parameters. Default view for a group in Sunstone. Boot order can be selected from Sunstone. You can find more information about the new features in the release notes. In this new release we also start supporting RHEL/CentOS 7. We encourage everyone that is using or planning to use this distributions to try the new packages and fill any bugs found in them. We have also created new repositories for this release so its easier to install and your 4.6 installations don’t upgrade automatically to it. You can download the packages from the software page or use the new repositories. Now is the time to try it and fill bugs so we can fix them before the final release. 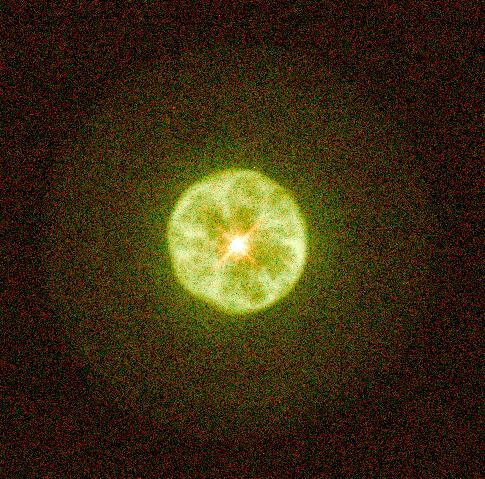 The Lemon slice nebula, also known as IC 3568, is a planetary nebula that is 1.3 kiloparsecs (4500 ly) away from Earth in the constellation of Camelopardalis (just 7.5 degrees from Polaris). It is a relatively young nebula and has a core diameter of only about 0.4 light years. The Lemon slice nebula is one of the most simple nebulae known, with an almost perfectly spherical morphology. It appears very similar to a lemon, for which it is named. The core of the nebula does not have a distinctly visible structure in formation and is mostly composed of ionized helium. The central star is a very hot and bright asymptotic red giant, and can be seen as a red-orange hue in an amateur’s telescope. A faint halo of interstellar dust surrounds the nebula. Thank you all for the input, patches and bug reports that made this release possible. https://opennebula.org/wp-content/uploads/2018/11/opennebula_cloud_logo_white_bg-4.png 0 0 Javier Fontan https://opennebula.org/wp-content/uploads/2018/11/opennebula_cloud_logo_white_bg-4.png Javier Fontan2014-07-21 13:28:432014-07-21 13:28:43OpenNebula 4.8 beta released! can you also incorporate the network mask bugfix into 4.8? This is a showstopper at the moment, as network masks are always /24 and this breaks setups with /22 or /29 networks. Besides this, we are on creating a new template for CentOS 7 and preparing it for the marketplace.